The dad grab bag - what to pack for a solo baby outing! The dad grab bag – what to pack for a solo baby outing! Dads, we know you’re more than capable of heading out of the door with your children and having a great day out. And we love that you do it and give us a bit of a break! So to make it even easier, we’ve put together a checklist of what to grab before you head out the door. Wipes. Lots and lots of wipes. A dodgy nappy requires more of these than you ever thought possible. Bonus: they’re actually awesome for cleaning up virtually everything. Spare outfit. Just in case, well… you know. In fact, pack two. And a spare top for yourself. Swaddles – the ultimate parent’s tool! Use them to wrap your baby up, to provide a lightweight blanket, for shade, as a burp cloth – their uses are virtually endless. And you didn’t hear it from us, but they’re also great when you need to wipe something up quickly, clean up messes and wet park benches, or provide an instant makeshift picnic blanket. If you’re heading out for an extended time, this is essential. Your baby will want to have a nap at some stage, so unless you want an upper arm workout, pack the pram. Packing the pram also means you don’t have to carry anything extra – just stick it all in the pram basket. 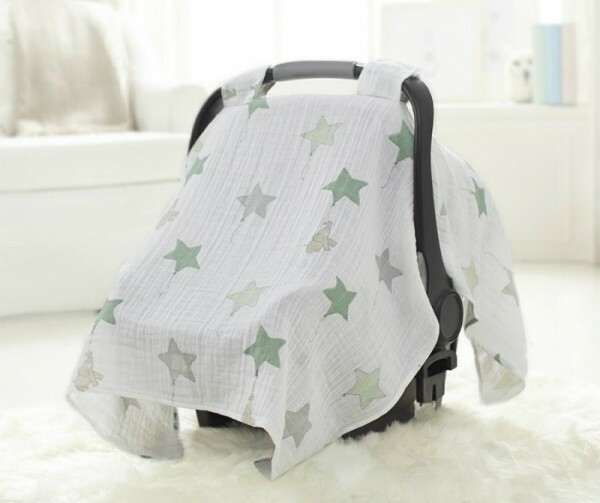 Along with the pram, you’ll want to have a stroller blanket, so bub stays cosy. If you have a travel system and can just pop the car seat onto a pram – bonus! Make sure you take along a great canopy cover so that if your baby falls asleep, they’ll (hopefully) stay snoozing while you walk around. Choose something that’s lightweight and created specifically for the task so that there is plenty of air circulation. If you’re going to be out for quite a while, you’ll need to think about a few other things to take along. If your baby is beyond the newborn stage, you may need to think about taking their favourite comforter or distraction toy. This may be something that can be attached to the pram safety bar, or cuddled. Hats and sunscreen if you’re going to be braving the elements. Does the weather look a bit questionable? Don’t forget the rain cover for the pram!